Facials do great wonders for our skin, apart from cleaning and preventing various skin problems. 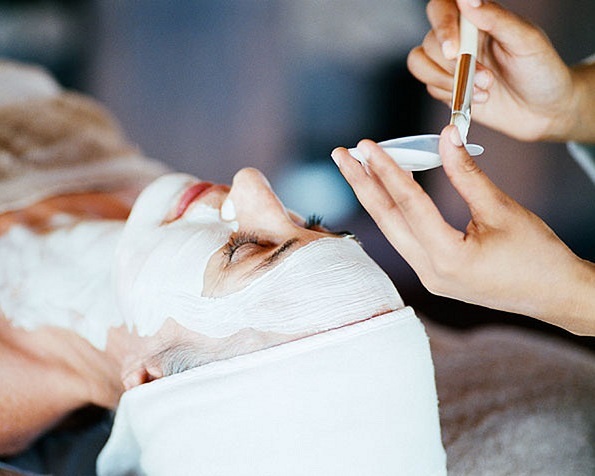 Scroll through this article to know the different types of facial treatments available for you. Revealing a smooth, healthy and radiant skin is one of the many joys that a woman always longs for. Skin is the largest organ of the body and performs several functions right from protecting our body from harmful substances to releasing the useless toxins from our body. All in all, our skin is the direct reflection of our inner health and well-being. Hence, caring for our skin comes naturally. Here, enters the facials that aid in nourishing the skin and divulging a healthful and glowing complexion. Not only do facials cleanse and exfoliate the skin, they have many wonderful benefits. A good face massage stimulates blood flow; increases blood circulation to the skin cells supplying fresh oxygen, increases skin moisture, removes dead skin and reveals the healthier skin underneath. Depending upon your skin requirements and skin types, there are a number of facials available at your end. Check out some of them in the lines that follow and help your skin get back its softness, smoothness, radiance and resilience. Take a look! A basic facial is good for starters as it targets normal skin which is not too dry or too oily. Moreover, the ingredients used in the facial aren’t too sensitive for the skin. The least expensive of all facials, a clean up includes cleansing, exfoliating and moisturizing the skin. The procedure includes gently steaming the face and removing those ugly blackheads and whiteheads. The scrub granules are then very lightly massaged into the skin to stimulate the pores. Regular clean-ups are very effective in removing dead skin and reducing skin problems. These can be safely used by people under the age of 25 years. AHA, or Alpha Hydroxy Acid, facials include the creams formulated with AHA acids helping the skin to look younger, smoother and healthier. The AHA acids are generally derived from fruits and flowers known for anti-ageing effects. The procedure for carrying out an AHA facial is the same as others. However, this facial is best used on people who are concerned about their ageing, wrinkles, pigmented skin or long for a healthy and youthful skin. Such facials are performed by using creams and masks that are enriched with scores of antioxidant and free-radical fighting vitamins, such as vitamin A, beta-carotene and vitamin E. These are highly useful in removing pollutants and protecting the skin from further damage. The best contenders for such facials are those who spend hours outdoors, either for work or play. Not only teenagers, but adults too are prone to acne problems and can be affected from this dreadful condition. Such people are advised to undergo an acne facial treatment which cleanses the skin with enzyme or glycolic acid exfoliation followed by a warm vapor mist and extensive manual deep pore extractions. To end off, an electric desincrustation and a skin-calming, anti-bacterial masque is applied. For effective results, acne facials should be carried out after every two weeks until the problem is completely eliminated. People, looking for solutions to prevent wrinkles, dark under-eye circles and other damage caused due to the sun and pollutants, can go for a collagen facial, as it caters to all such problems. The best part about this facial is that any person can opt for it as it is suitable for all skin types. The process includes exfoliation, warm vapor and deep pore cleansing followed by a healing mineral or paraffin masque. Aromatherapy facials are the best bet for people looking for body and mind relaxation while benefiting the skin as well. By clearing skin congestion, the normal functions of the skin are enhanced providing you with a renewed and refreshed skin. The mask contains essential oils and is applied towards the end of the massage, thereby giving the uplifting effect.